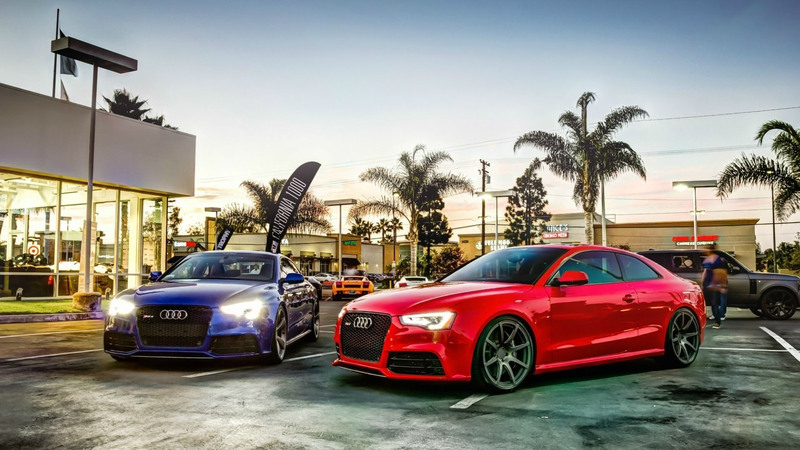 The new 2013 Audi RS5 is powered by a powerful 4.2-liter V8 aluminum block and heads engine which produces 450 hp (331 kW) at 8250 rpm and a torque of 317 lbs-ft at 4000 rpm. The exterior of this 2 door coupe has a very nice design. The car looks like a true sports car. Some slight changes are visible like an active tail spoiler that pops up at 75 mph and snaps down at 50 mph, oval exhaust outlets, a honeycomb grille, a larger rear diffuser and a wider sills. A base model is offered with a standard 19 inches wheels, but there are available an optional 20 inches wheels as well. The interior has a lot of nice features, and overall it looks very nice. The seats are very nice and comfortable. As in all coupes, space for legs of your passengers in the rear is limited as usual. For an average size of people, it shouldn’t make a big discomfort in a short trips, but for a long trip, you might want to sit in front, because out there is way more comfortable. The wheelbase is 2751 mm (108.3 inches) long. Length is 4648 mm (183 inches). Width is 1859 mm (73.2 inches). Height is 1367 mm (53.8 inches). Curb weight is 4040 lbs (1833 kg), which isn’t so small for a 2 door coupe but not that high either. This new Audi is definitely one of the top cars on the hottest cars list. The design looks very nice, a powerful engine and just an overall very nice car with a lot of great features and options. All this can be yours for just little less than 70,000 USD ($), as the car is priced at that price range.